Peace, Love, Spokesmodels, and Frameable Faces! When the spokesmodels arrived yesterday all of their t-shirts were laid out on a table with their spokesmodel cards which they can pass out to their friends. Once everyone arrived and introduced themselves to each other they started exchanging cards and I think some sort of card game broke out… hilarious! Next was a special presentation – this year we added the spokesmodel video which includes video clips and images from each of the sessions – take a look! Frameable Faces Spokesmodels Class of 2013! After raucous applause we got down to the business of taking pictures for this year’s composite photo which will be revealed soon so stay tuned! We can’t wait to see the results of this – in the meantime here is last year’s from the class of 2012 which adorns one of our studio windows as a huge mural! We were about to eat dinner next but everyone decided that they had to first put on our tutus for some bonus fun – what is it with seniors and tutus? Meanwhile one of our spokesmodels (Kyle) had to leave early leaving Donovan as the only boy – I don’t think he minded and things got pretty funny as you can see by clicking the link below… at this point Samantha hadn’t arrived yet so this is everyone minus Kyle and Samantha…. At that point we ate some pasta and salad for dinner, and then we finished off the night with the piéce de résistance – the Just Baked cupcake tower with a Frameable Faces cake on top!!! 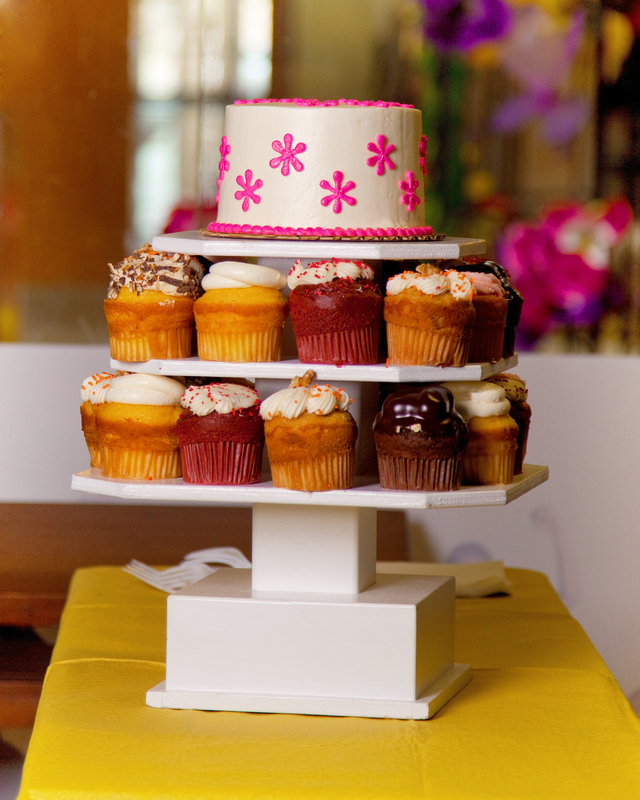 The Chubby Hubby, Red Velvet, and Grumpy Cake cupcakes were the first to go…. YUM!!!! All in all it was a great night and we are so happy to have these amazing young people representing our studio! As someone said during the party, “Peace Love and Frameable Faces”!!!! Frameable Fun with the G’s!